I finally finished up this huge thing of shampoo (700 ml worth of shampoo) which feels like it lasted me forever! I can finally move on to trying out some new hair care stuff before returning to Garnier Fructis or Herbal Essences (because I always do) again. The industrial size is actually great if you’re sharing a bathroom with people (siblings, room-mates, etc…). 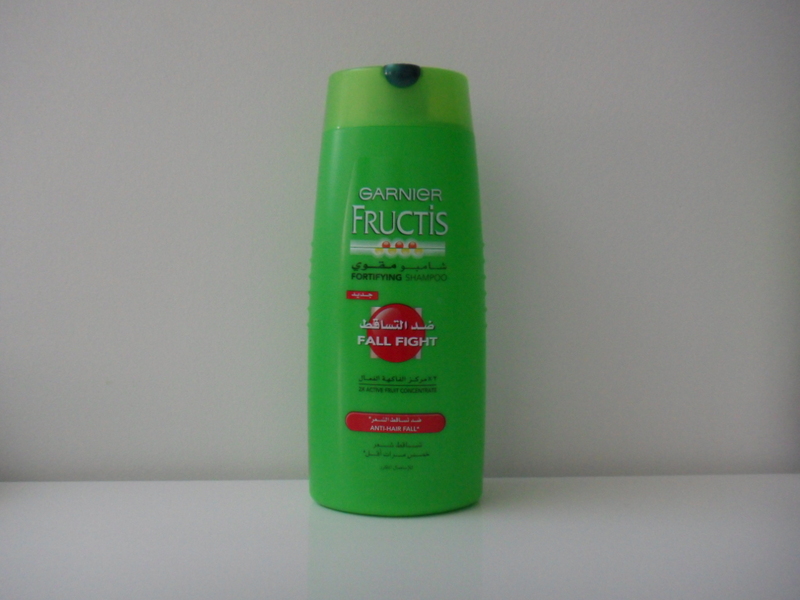 As I’ve mentioned in this post, I love Garnier Fructis Shampoo specifically because of the delightful apple scent that envelopes me while using this stuff in the shower. I also like the fact that the scent tends to linger in my hair for a short while after (if I’m not using any hot tools). I’ve already reviewed the one for normal hair here whereas this fall fight shampoo promises to be anti-hair fall. That said, I’m not particular about which one I get just as long as it comes in the green bottle because of the fruity scent. Also, as I’ve said before, my naturally curly/wavy hair just loves this stuff! It says “Made in India” on the back so maybe my hair just loves the Indian Water used in this shampoo. This retails for a little over KD3/000 and can be found at most co-ops/drugstores.